The video below has all the details. 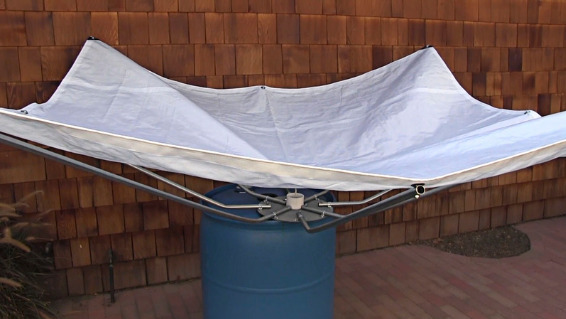 But as you can see from our home page, we just added a new product to our lineup- the 84" RainSaucer™. This extra large version is targeted at our medium scale customers (e.g. community gardens and urban farms) who have been asking us for years for something to fill the barrels faster. To achieve this goal we had to "break the mold" so to speak and come up with a completely different architecture. For example, instead of using self supporting plastic material we're using a steel frame here to support the funnel mechanism. The other features are outlined in this product brochure. We hope to be posting more photos and use cases in the coming months so stay tuned.